Learning to play harmonica is great for those looking to get into an instrument that doesn't require an extensive background. Learning to play the harmonica is a great idea if you're looking to pick up an instrument because it requires very little musical background. While every instrument requires hours of practice, there is much less of a learning curve because each harmonica has a specific key it is supposed to be used for. What is a good harmonica for a beginner? Hohner Special 20 in the key of C will always be my recommendation. Special 20's are the "Porsche" of harmonicas according to John Popper of Blues Traveler. Higher quality harmonicas, simply put, are much more easy to play and learn on. 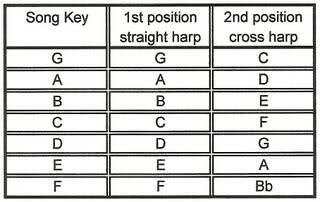 Without getting into too much detail - every diatonic harmonica has a specific key it should be played in. Playing the blues you play what is called "cross-harp." Harmonicas are an acoustic instrument.. No cables or amps are needed! Don't leave home without your wallet, phone, keys or harp! Not only can you practice just about anywhere but you can hop in with street performers, blues performers on stage and everything in between! I learned to bend notes driving on the Eisenhower in Chicago traffic. Remember the backing tracks in the key of G I referenced earlier? Make a CD with 3-4 blues backing tracks and play along! YouTube is a great resource to learn how to play the harmonica. YouTube not only has great instructional videos but there are also a plethora of videos that you can use as "backing tracks." Backing tracks are essentially what it would sound like if you had a full band playing behind you. If you have a harmonica in the key of C you'll want to practice over a video like this one. Check out this video of me sitting in with "Falls Creek" in Chicago, IL. Wow. This is great. I always thought of trying to learn the harmonica, but found myself to be pretty useless. Probably because I was using a KAZOO. What are less expensive and cheaper options than the Nord Stage or Nord Piano?